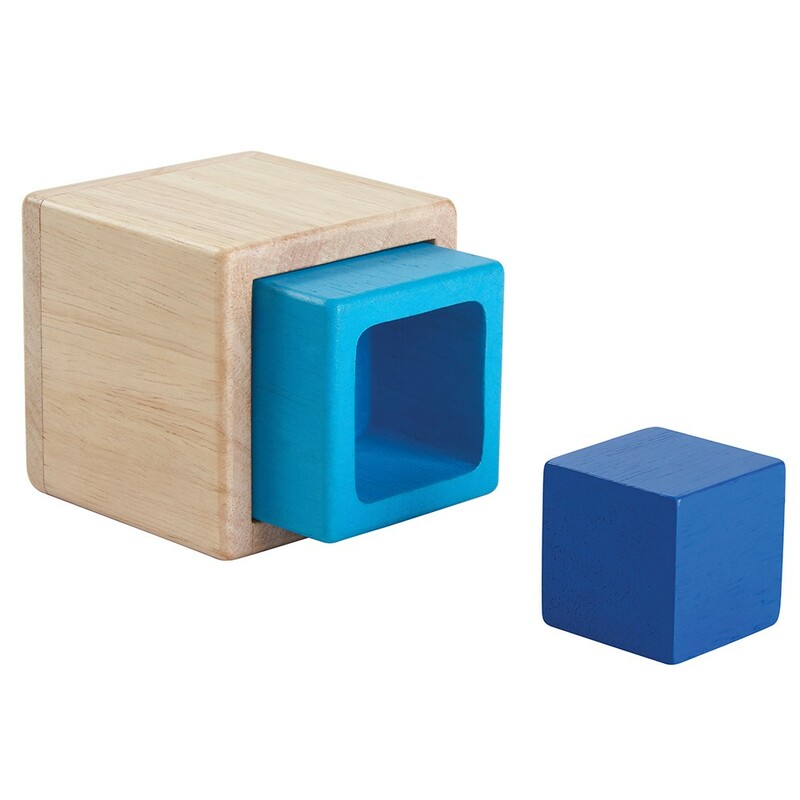 This wooden nesting boxes and block set from Plan Toys is a simple wooden toy that can be used in a variety of ways. 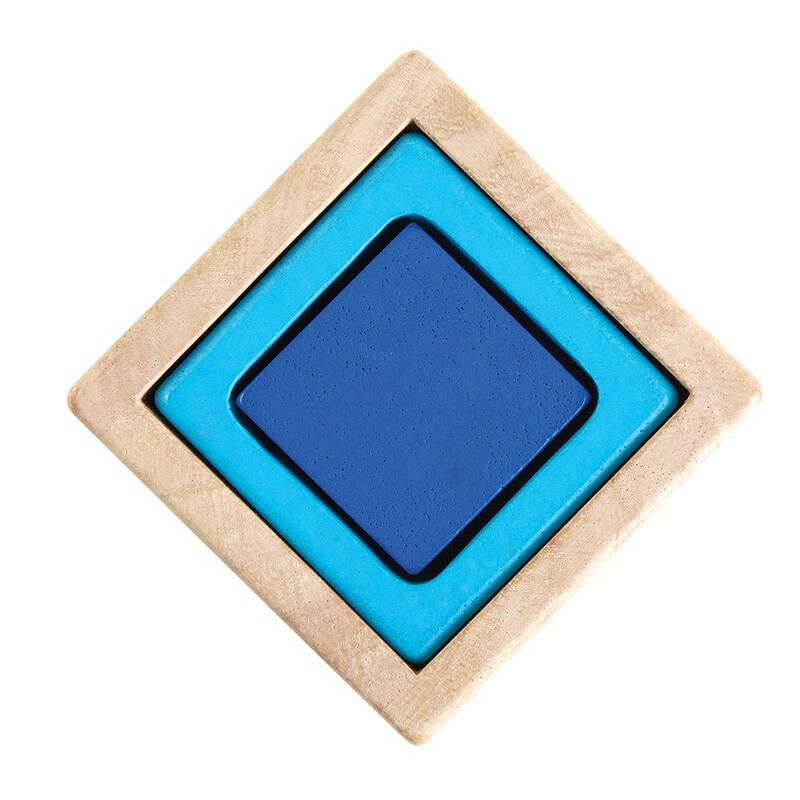 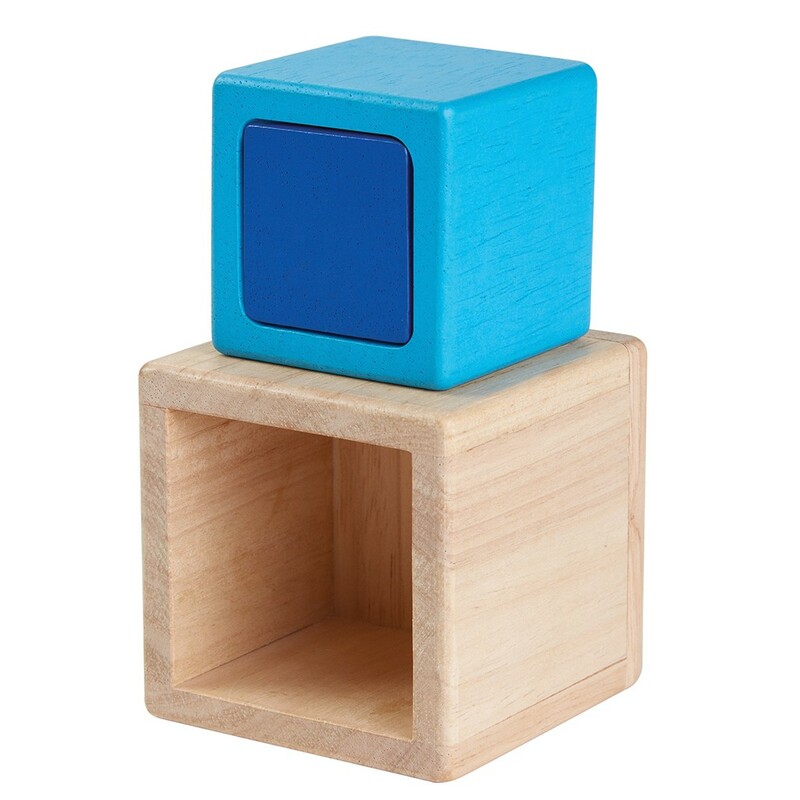 Stack the blue block into the turquoise box, inside the natural box; stack the pieces on top of each other and play hunt the block with your baby - which box is it hiding under? 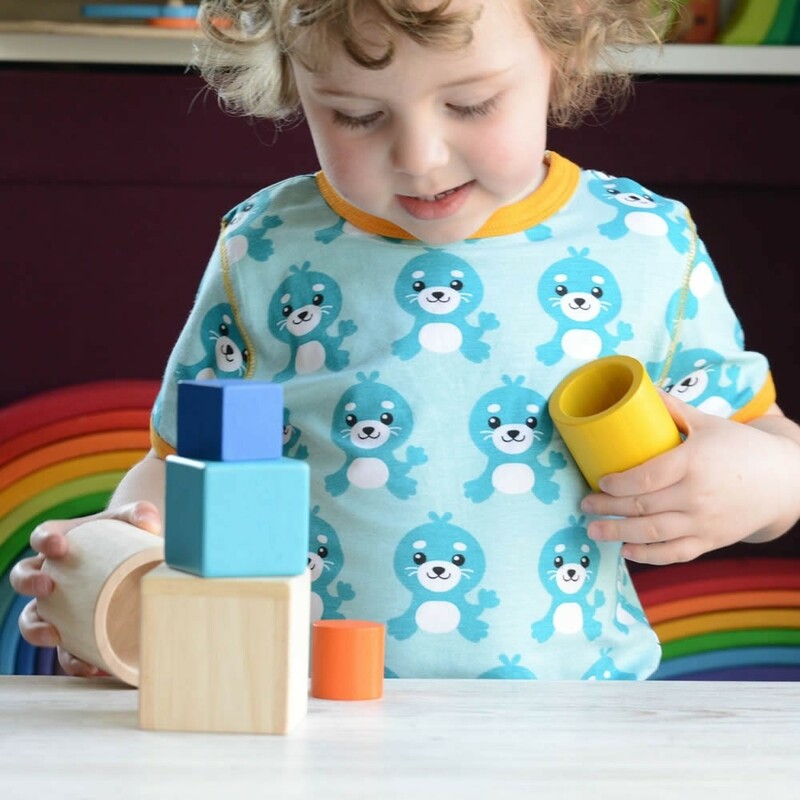 As they all stack neatly into each other, this traditional wooden toy is handy for popping into a bag and taking out and about. 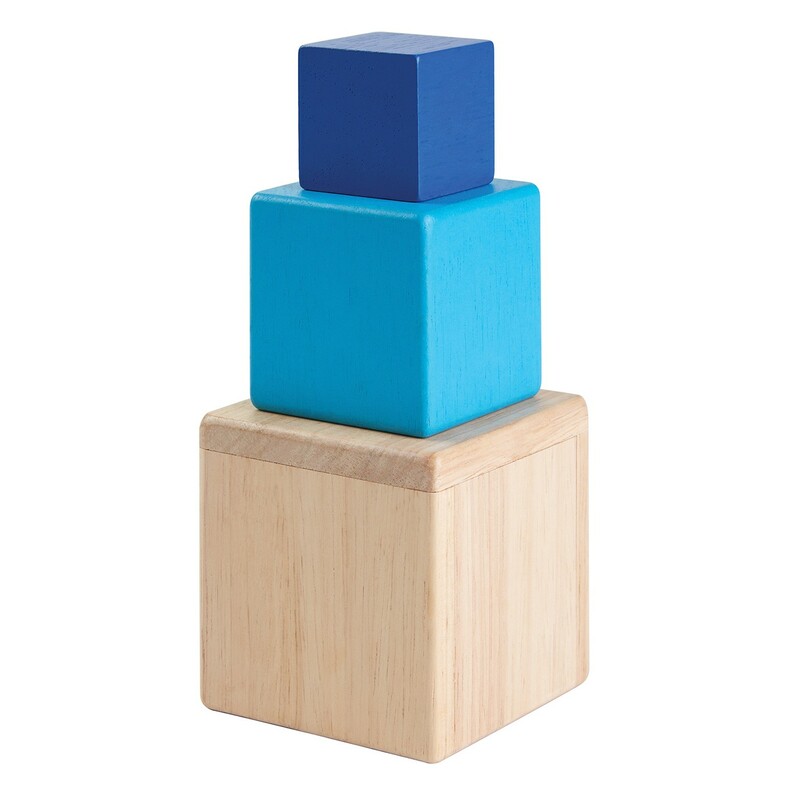 This wooden block toy is handy for teaching tots about spatial awareness, how things work and developing motor skills as they move the block and boxes around. 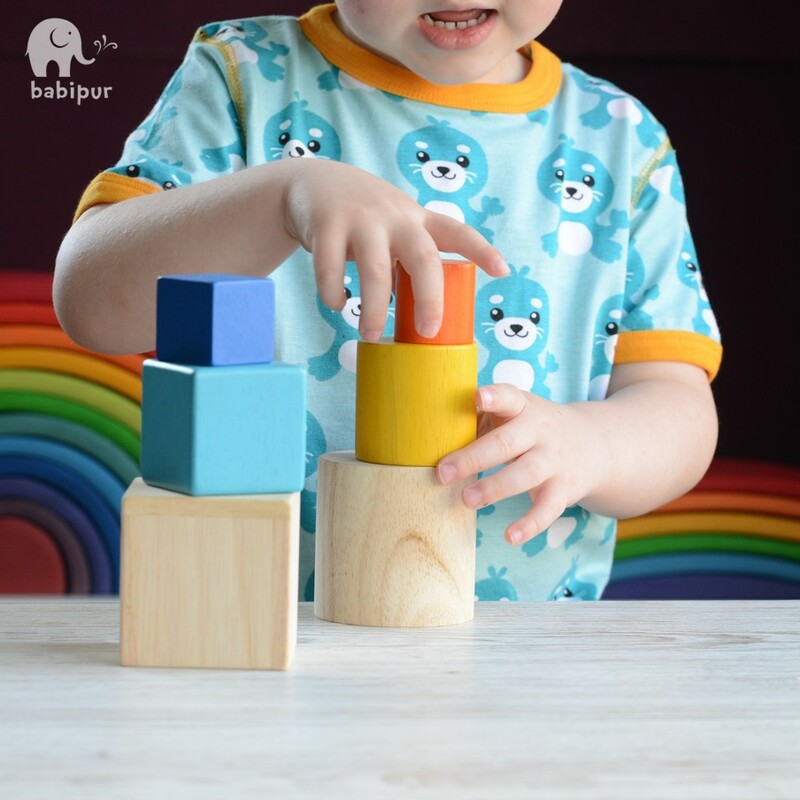 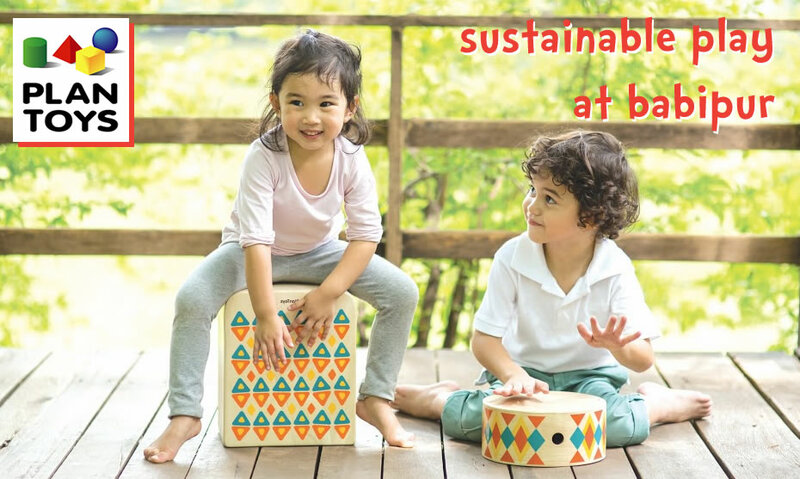 Combine with other wooden blocks from Babipur to enable your child to learn as they play. 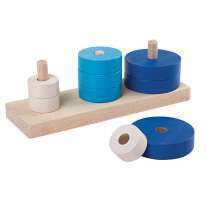 This simple wooden toy is ideal for playing with at home, in nursery and will appeal to Montessori educators too. 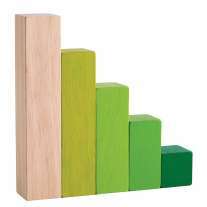 The natural wood box measure 7cm x 7cm x 7cm.